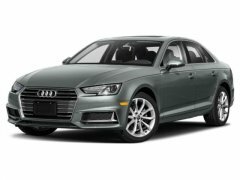 Find a great sale price on this 2018 Audi A4 at Keyes Cars in CA. 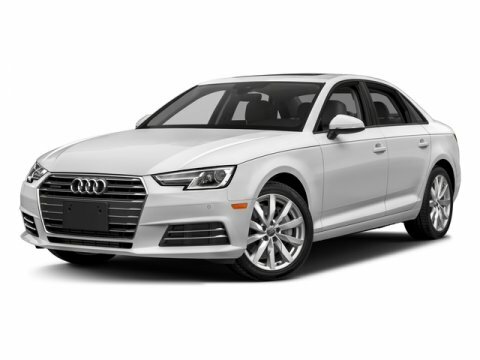 This 2018 Audi A4 is located at our State dealership in California. We serve the cities of Van Nuys, Valencia, Woodland Hills, Mission Hills, and Los Angeles. So if you're looking for a great price on this 2018 Audi A4 or just looking to get an auto loan for the vehicle you want... you've come to the right place! Keyes Cars. With its striking available LED headlights and horizontal Singleframe grille, the 2018 Audi A4 beckons admiration wherever it goes. From its power sunroof to ambient LED interior lighting package, the A4 offers premium features so inviting, drivers and passengers may feel compelled to linger. Standard on the A4, Audi drive select includes four driver-selectable modes - Comfort, Auto, Dynamic and Individual - for a smooth, tailored drive. The A4 offers a powerful available 252hp engine, mated with either a seven-speed S tronic dual-clutch automatic transmission with available quattro all-wheel drive, or manual transmission with available quattro all-wheel drive with ultra technology. Standard on the A4, Audi pre sense basic intervenes by helping secure the vehicle during unusual or emergency maneuvers, while Audi pre sense city helps detect vehicles and pedestrians at speeds of up to 52mph, helping to prevent accidents. The available Audi virtual cockpit can make for a highly elevated driving experience. Set in a fully digital 12.3in. instrument display, the Audi virtual cockpit allows you to customize information such as audio and available navigation, as well as access available Google Earth.